BECOME A HERO! SAVE A LIFE! You can do something about the Holocaust! There are materials you can download and use to personalize your special day and to make your project meaningful. Mitzvah Projects are for everyone: Individuals, families, schools, synagogues, etc! Your Mitzvah Project can save lives. By bringing help quickly and directly to these survivors, they can live out their last years with some measure of comfort, support and dignity. By choosing The Survivor Mitzvah Project as your Mitzvah Project, you can be part of something historic. This is a once in a lifetime chance to be a part of something that can change the course of history. These are the last Holocaust survivors in Eastern Europe, and we are the last generation who can help them. Join us. 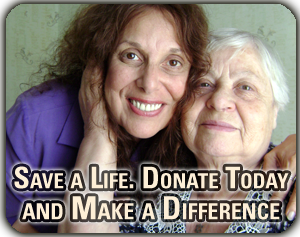 There are thousands of elderly survivors waiting for your help. When you help these individuals through your tzedakah at your Bar or Bat Mitzvah, you participate in Tikkun Olam and help repair the world. Together we can write a more hopeful final chapter of the Holocaust, one of friendship, love and kindness. 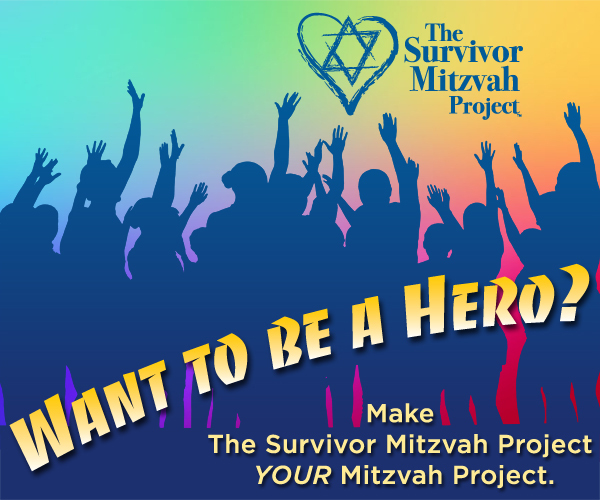 Watch The Survivor Mitzvah Project in action here.Any questions? Call us at 213-622-5050 or toll free at 800-905-6160.
to contact us directly by emailing us here. The Survivor Mitzvah Project is a 501(c)(3) non-profit public charity.